Photobleaching and phototoxicity are unavoidable in fluorescence microscopy. The phenomenon of photobleaching occurs when, as a result of photo-induced modifications to the molecular structure, a fluorophore permanently loses the ability to fluoresce. Phototoxicity arises from photoinduced generation of singlet oxygen and/or other toxic by-products. 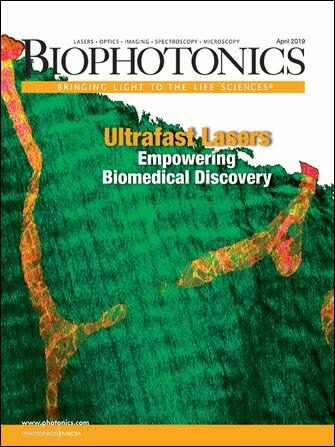 Both phenomena are detrimental to fluorescence microscopy applications, especially in the case of live-cell imaging, where real-time effects can impair the cell under study. Therefore it is critical to reduce these consequences to a negligible level. One means of achieving this reduction without sacrificing image fidelity is to employ a new technique called active illumination microscopy (AIM). AIM works by maintaining a fixed detection signal via fast feedback control of the microscope illumination power. Ultimately, this approach permits fluorescence microscopy with an improved signal-to-noise ratio (SNR) and little to no image saturation, resulting in clear, crisp high-fidelity images. In conventional laser scanning fluorescence microscopy, the laser source is held at constant power and scanned across the sample, with the emitted fluorescence signal subsequently measured using a detector, such as a photomultiplier tube (PMT) or an avalanche photodiode. The signal is assigned a pixel location, thus allowing one to generate two- and even three-dimensional images with high spatial resolution. The range of detectable signal levels is defined by the dynamic range. The dynamic range is most easily understood as being the highest measurable signal before detector saturation occurs, divided by the smallest detectable signal. In biological imaging applications, one often encounters problems in acquiring high-quality fluorescence images on the first attempt without discovering regions within the field of view that saturate due to higher densities of the target fluorophore. On the other hand, there may be regions of interest within the same field of view where low levels of fluorophore exist. The microscopist can deal with the various levels of fluorescence by acquiring several images with different illumination powers. Alternatively, this problem can be overcome with AIM. The central idea behind AIM is to redistribute the dynamic range using real-time feedback to control the illumination source. By adjusting the output power of a laser on a subpixel time-scale via feedback control, it is possible to reduce the illumination level on a real-time basis for bright objects and to increase the illumination level for faint objects. Because the feedback control responds to the sample conditions, it eliminates the need for judicious decision making by the microscopist as well as the need for postprocessing using software. The technique allows high-quality fluorescence images to be acquired with little to no user intervention. The AIM approach is shown schematically in Figure 1, where the dashed-line box encases the feedback control system that is incorporated into a two-photon microscope platform. The measured fluorescence signal is given by S = XP2, where X is the measurable parameter of interest and is proportional to the fluorophore concentration. The feedback loop uses negative feedback to keep the detected signal at a constant value Sset by modulating the input laser power up to a maximum power Pmax. Figure 1. This schematic shows AIM for fluorescence microscopy. The dashed box encases the integrated AIM feedback control. The fluorescence output XP2 is measured by a detector, producing an output signal S that is held at a set point Sset by analog feedback via an electro-optic modulator that controls the illumination power P. The value X is reconstructed and output on a log scale. PID = proportional-integral-derivative controller. Adapted from Biomedical Optics Express by Kengyeh Chu and Jerome Mertz. When sufficient laser power is available to hold Sset, the system enters “feedback active” mode. When insufficient laser power is available to reach Sset, the laser power is automatically set to Pmax, and the system enters “power limited” mode. In both scenarios, the system evaluates the parameter-of-interest X and supplies this value as a single output. Although the single-output approach has benefits from a practical implementation standpoint, it is important to ensure that the increased dynamic range now obtained is not undermined by the intrinsic dynamic range of the analog-to-digital conversion. The reconstructed data (i.e., X) is thus represented using a logarithmic scale. This approach may seem foreign to microscopists; however, such a log scaling approach is ideally suited to AIM, as it captures the characteristics of good low-signal precision and high overall dynamic range. Whether the data is represented by a linear or log scale, it can very straightforwardly be converted a posteriori using appropriate software, if desired. Fidelity in fluorescence imaging is often corrupted by optical noise. The benefits of AIM for improving the SNR are shown graphically in Figure 2. Here SNRmin represents a minimum value, due to electrical noise, while SNRmax represents the maximum value, due to detector saturation. In conventional two-photon excited fluorescence (TPEF) imaging, the SNR increases proportionately as X1/2. Figure 2. These graphs chart the SNR versus sample strength (X) for (a) conventional imaging and (b) active illumination microscopy. The SNR follows a standard shot-noise model in the power-limited regime but is controlled to be at a constant level once the system reaches the set point Sset in the active-feedback regime. Adapted from Biomedical Optics Express by Kengyeh Chu and Jerome Mertz. Increasing the laser power to the maximum possible level permits lower values of X to be measured. However, increasing the laser power also lowers the saturation threshold. As a result, the dynamic range Xmax/Xmin remains constant regardless of the power setting. This limitation is overcome when AIM is implemented. In AIM, two distinct operation regimes exist. In the feedback-active mode, imaging becomes saturation-free, and Xmax becomes quite large. In the power-limited mode, the system operates similarly to a conventional fluorescence microscope, but with laser power Pmax rather than P0, thereby allowing the user to measure the smallest possible Xmin. AIM may seem to be the ultimate cure for the effects of photobleaching and phototoxicity; however, both still pose a threat, especially if the user does not fully understand the pros and cons associated with AIM. When increasing Pmax to allow measurements of low X values, one should recognize that photobleaching effects can dominate if Pmax is set too high. Similarly, although higher values of Sset are desirable in that they lead to an increased SNR and improved image fidelity, they may come at the price of inducing phototoxic effects within the sample. Ultimately it is left to the discretion of the microscopist to judiciously select values of Sset and Pmax that best suit a given application. The main benefits of AIM are demonstrated with an example of TPEF microscopy of mouse brain hippocampus labeled with GFP. Saturation-free AIM is performed using more than 200 mW of laser power at 835 nm, but in the standard TPEF experiments, 90 mW or less must be used to avoid detector saturation. The excitation light is transmitted using a long-pass dichroic having a cutoff at 695 nm and is focused onto the sample using a high-numerical-aperture microscope objective. Figure 3. Two-photon emission fluorescence imaging shows a mouse brain stained with GFP. Conventional TPEF imaging renders the image on a (a) linear and (c) log scale. Imaging using AIM is (b) linearized in software and (d) acquired on a log scale. Scale bar 20 μm. Courtesy of Kengyeh Chu and Jerome Mertz, Boston University. The emitted fluorescence, captured by the same microscope objective, passes through a 60-nm-wide bandpass filter centered at 530 nm before impinging on the detector, a PMT. Shown in Figures 3a and 3d are two TPEF images acquired with the microscope operating in standard (linear scale) and AIM (logarithmic scale) modes. The images are displayed as they were recorded in real time, with no postacquisition modifications. The application of a simple logarithm (using software) allows one to convert the linear-scale data shown in Figure 3a to logarithmic-scale data shown in Figure 3c, or vice versa (Figures 3b and 3d). A direct comparison of the mouse brain hippocampus images shown in Figures 3a through 3d reveals the main advantage of AIM: The technique clearly shows weakly fluorescing structures in the sample that are not visible with conventional TPEF imaging. Figure 4. The SNR benefits of AIM are demonstrated in this graph. Line profiles of the power spectral densities of conventional and AIM TPEF images are measured from Figure 3a (conventional TPEF imaging, orange trace) and Figure 3b (AIM-TPEF imaging, blue trace). The power density is shown on a log scale, with the X-axis representing the spatial frequency kx (with ky set to zero). Operating in AIM mode reduces the noise floor compared to conventional imaging and directly reflects an improved SNR. Courtesy of Kengyeh Chu and Jerome Mertz, Boston University. Improvements in image fidelity (i.e., SNR) afforded by AIM are demonstrated by plotting the spatial frequency power density of both the conventional and AIM linear images (Figure 4). From the power spectral density line profiles, it is clear that the noise floor for the AIM image is reduced compared with that of the image acquired in conventional TPEF mode. The benefits derived from applying AIM to low-signal TPEF imaging are demonstrated in the example above. But AIM also provides benefits for high-signal imaging, as demonstrated with a sample of fixed mouse brain. When one is operating in conventional TPEF mode, image saturation is clearly evident in the central region of the neuron, as indicated by the red arrow in Figure 5a. Switching to AIM avoids image saturation (See Figure 5b). In addition to saturation-free imaging in regions where high fluorescence emission is present, AIM also permits imaging of dim features surrounding the neuron of interest, without sacrificing the SNR. Figure 5. (a) Conventional two-photon excited fluorescence microscopy operating beyond saturation produced this image of a mouse brain. The red arrow indicates saturation in the neuron body. (b) In this AIM image of the identical neuron, saturation is avoided, while the sample strength is measured and displayed. Evident is AIM’s ability to image dim features without sacrificing the SNR. A nonlinear intensity scaling is shown on the right to elucidate this effect. Scale bar is 10 μm. Courtesy of Kengyeh Chu and Jerome Mertz, Boston University. Active illumination microscopy is a simple and straightforward means by which to effectively control and manage the effects of photobleaching and phototoxicity in fluorescence microscopy. Through precise control of the illumination power, it is possible to eliminate image saturation while enhancing detection sensitivity at low signal levels. Because AIM requires only simple, straightforward electronics and only one detection channel, it can easily be employed as a simple “drop in” addition to any standard one- or two-photon laser scanning fluorescence microscope platform. Because of this, AIM should provide microscopists with another powerful method to enhance their imaging tool kit. Dr. Neil Anderson is the technology development analyst at Semrock Inc.; e-mail: nanderson@idexcorp.com. Dr. Kengyeh Chu is a postdoctoral researcher; Chu and professor Jerome Mertz work in the department of biomedical engineering at Boston University; e-mail: kenchu@bu.edu and jmertz@bu.edu. 1. K.K. Chu et al (October 2007). Enhanced weak-signal sensitivity in two-photon microscopy by adaptive illumination. Opt Lett, pp. 2846-2848. 2. K.K. Chu et al (August 2010). Practical implementation of log-scale active illumination microscopy. Biomed Opt Express, pp. 236-245. An opening or hole through which radiation or matter may pass. 1. A device designed to convert the energy of incident radiation into another form for the determination of the presence of the radiation. The device may function by electrical, photographic or visual means. 2. A device that provides an electric output that is a useful measure of the radiation that is incident on the device. The lens located at the object end of a microscope tube. A wide range of objectives is available, including simple achromats, the color-corrected apochromats and the flat-field objectives. Objectives are specified by numerical aperture and magnification (at the standard 160-mm tube length). A process that helps optical fibers recover from damage induced by radiation. When silica is irradiated, bonds break and attenuation increases. Light in the fiber assists in recombining the species released by the broken bonds, decreasing attenuation. In a vision system, the linear dimensions (X and Y) of the field of view, as measured in the image plane, divided by the number of pixels in the X and Y dimensions of the system's imaging array or image digitizer, expressed in mils or inches per pixel.